The maker of the HERDEZ® brand, Mexico’s No. 1 selling salsa, was recognized with the CPG Award for Innovation and Creativity for its HERDEZ® Guacamole Salsa by the Grocery Manufacturers Association (GMA). The award, presented at the GMA Leadership Forum held last month at The Broadmoor in Colorado Springs, Colo., is selected each year by the GMA Advisory Council in recognition for organizations’ creativity and willingness to take risks, resulting in in measurable results and significant impact on the industry. 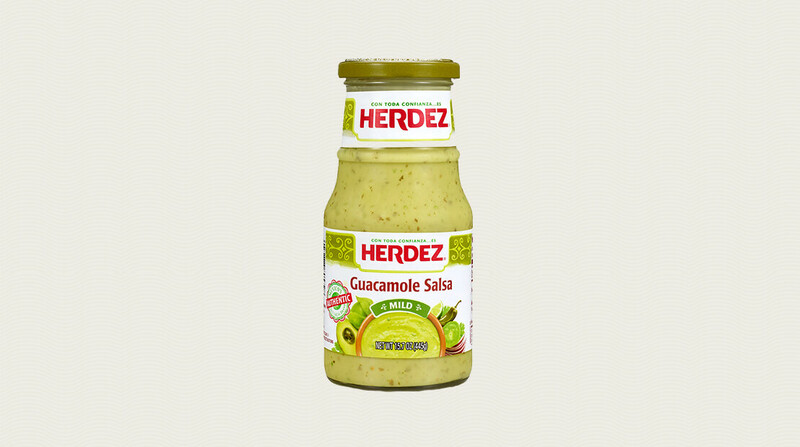 HERDEZ® Guacamole Salsa was developed by MegaMex Foods, LLC, a joint venture between Hormel Foods and Herdez del Fuerte, S.A. de C.V. The salsa combines the tastes of tomatillo, avocado, onion, jalapeno and cilantro, resulting in a rich and creamy, smooth and tangy flavor. For more information about MegaMex Foods, visit www.megamexfoods.com. For more information about HERDEZ® products, including recipes, nutritional information and where to buy, visit www.herdeztraditions.com or follow the brand on social media at www.facebook.com/herdeztraditions, www.twitter.com/herdezbrand and www.instagram.com/herdeztraditions. The Vision of MegaMex Foods is to “bring the spirit of Mexico to every table” using the “Together*Juntos” theme. MegaMex Foods offers brands and products that range from authentic to mainstream. It is a leading full-line provider of Mexican foods in the retail, foodservice and convenience store channels with brands like HERDEZ® products, WHOLLY® dips, CHI-CHI’S® products and LA VICTORIA® products.